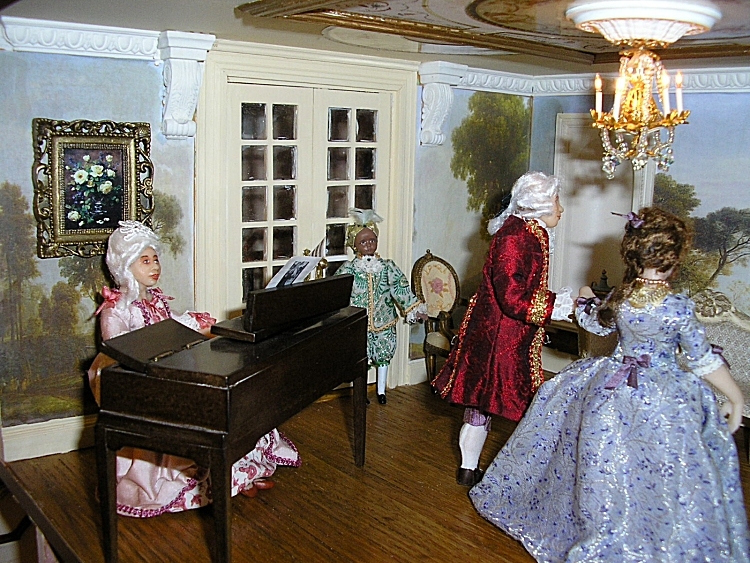 This is the Main Drawing Room or Ballroom. The walls are decorated with a mural which spans the entire room. There are two recessed niches in the back wall and also a window. The floor is comprised of real oak boarding. The ceiling is beautifully decorated in gold leaf and has a plaster ceiling rose with gold and austrian crystal chandelier with candle lights. 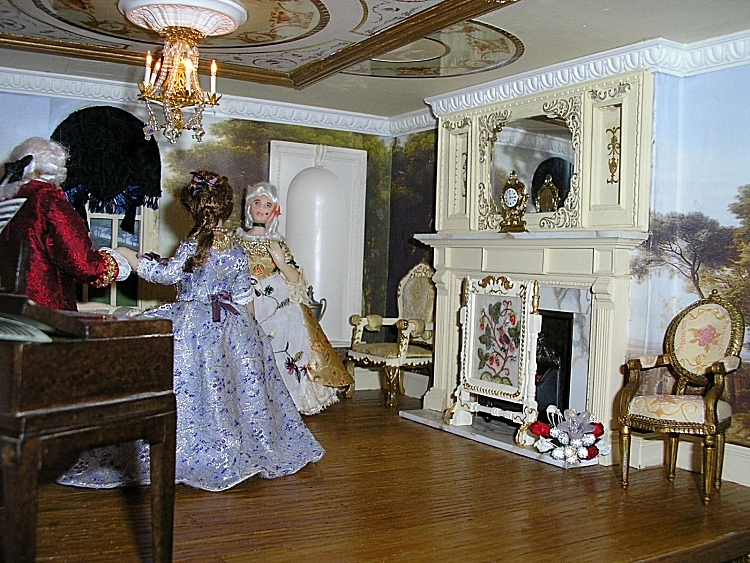 The fireplace is a replica of a genuine Georgian panelled fireplace and has a hand-made chimney piece above, fitted with a mirror. 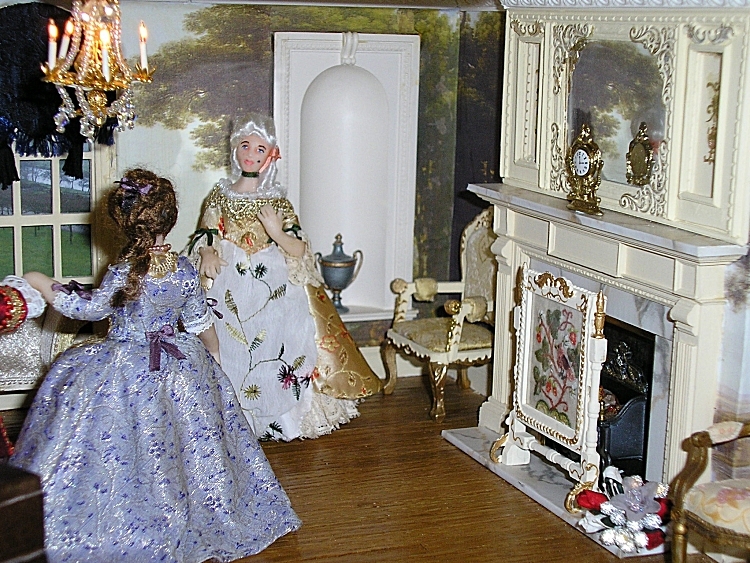 There is also a hand-embroidered fire screen in front of the fireplace. This would have been the Drawing Room, but at present is being used as The Ballroom for our guests to take a 'twirl' around the floor.